Titan Watches salutes the prodigious efforts of Jamsetji Tata, founder of the Tata group, with this curated collection of watches. These elegant and minimalist watches bring to life the clarity of thought and the foresight with which Jamsetji chiselled a direction for the Tata Group. These watches are available for both men and women and come in both leather and steel strap options. Marking 150 years is just another milestone in a legacy that is timeless. The transformative impact of the Tata group has propelled it into a global powerhouse, and the community continues to be at the heart of everything it does. Titan, a brand born out of the Tata group's legacy of pioneering, has continually pushed the boundaries of art and style through its products. It’s no surprise then that Titan redefines the way India sees and wears watches. 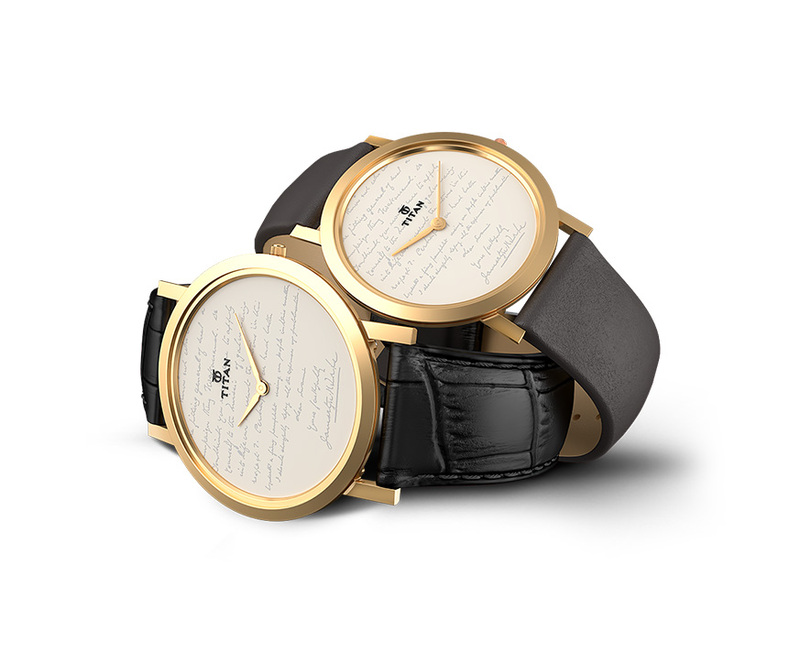 We present to you a small token of a great legacy - a watch inspired by a letter penned by Jamsetji Tata to Swami Vivekananda, requesting him to spearhead the Indian Institute of Science (formerly known as Research Institute of Science). This letter exemplifies Jamsetji's progressive thinking and is elegantly captured on the dial.